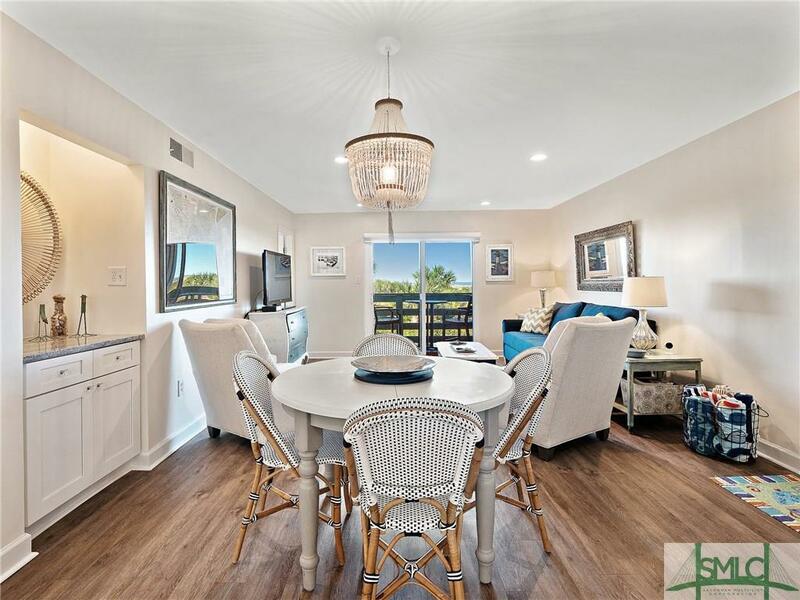 Its an easy walk-up to this beautifully updated 1st floor corner unit at Lighthouse Point Beach club. 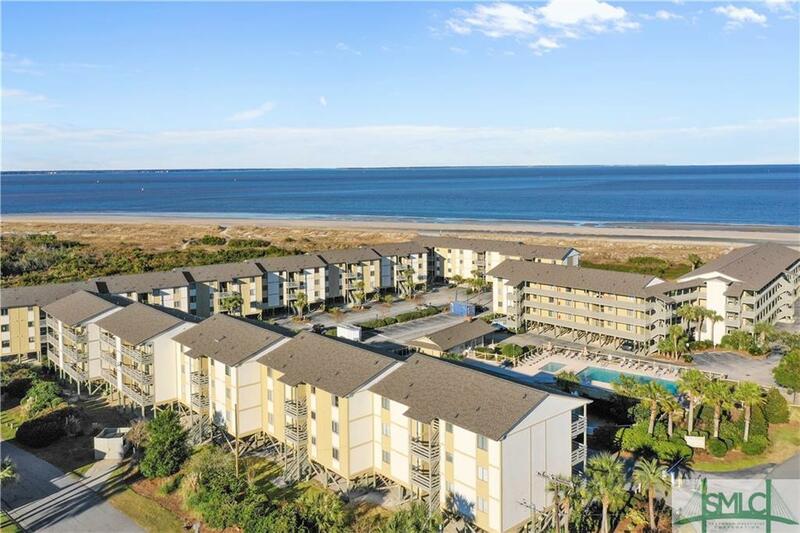 Enjoy beautiful views across a bird sanctuary and sand dunes of the Savannah River Delta/ Shipping Channel, Daufuski Island, Hilton Head and Atlantic Ocean from the living room, master bedroom, kitchen and porch! The covered porch is accessible from both the master bedroom and living room. Updates include new flooring, fixtures, appliances, granite countertops, cabinetry...everything! 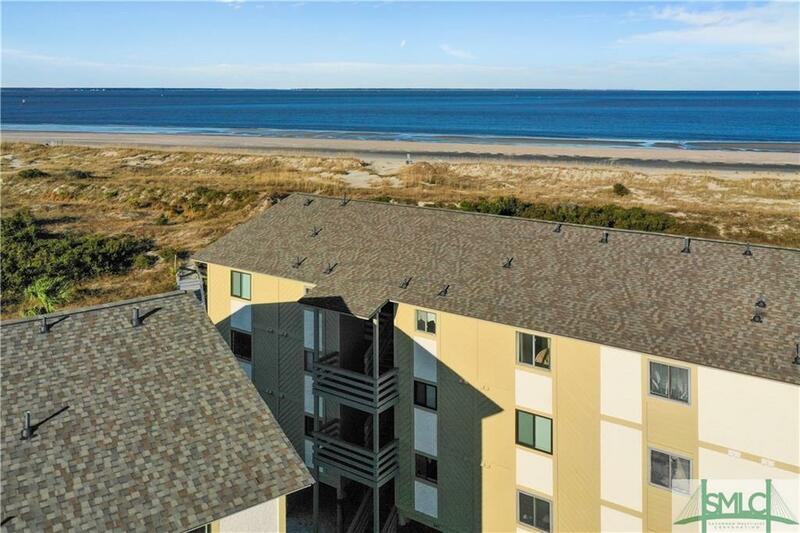 This condo is a turn key opportunity with all personal property including furnishings, kitchen wares, linens, bicycles and beach toys. 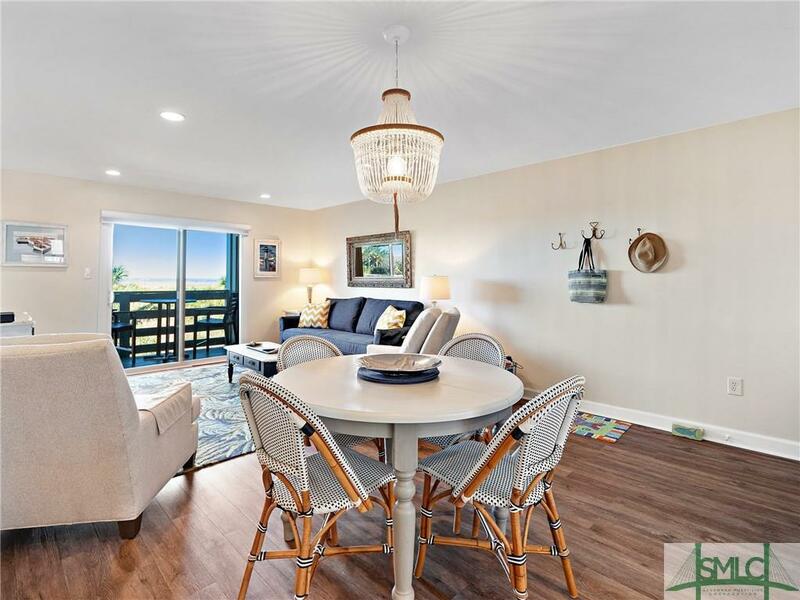 Lighthouse Point has everything you want-private beach access,3 swimming pools, tennis courts, club house, BBQs, bike locker & low HOA fee. Listing courtesy of Libby Bacon of Keller Williams Coastal Area Partners. © 2019 Savannah Multi-List Corporation. All rights reserved.